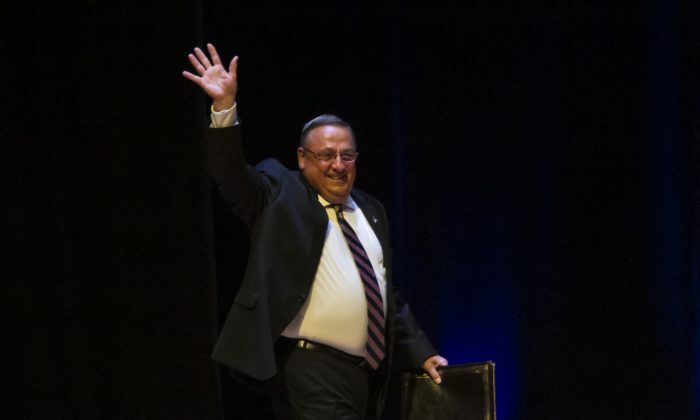 Maine Republican Governor Paul LePage said on Wednesday he will not expand the state’s Medicaid program under Obamacare, ignoring a ballot initiative widely backed by voters, calling it “ruinous” for the state’s budget. Maine looked set to become the first state in the nation to expand Medicaid by popular vote. About 60 percent of voters in Maine approved the ballot proposal in Tuesday’s election, according to the Bangor Daily News newspaper. Republicans in Washington have failed several times to pass legislation that would dismantle former President Barack Obama’s signature healthcare law. LePage said he will not implement the expansion until it is fully funded by the Maine legislature. LePage said a previous Medicaid expansion in Maine in 2002 had created $750 million in debt to hospitals and took resources away from vulnerable people. Maine has been prominent in the nation’s healthcare debate. U.S. Senator Susan Collins, a moderate Republican from Maine, helped block her party’s efforts to repeal Obamacare. Collins did not immediately respond to a request for comment on LePage’s decision. Maine voters were asked to approve or reject a plan to provide healthcare coverage under Medicaid for adults under age 65 with incomes at or below 138 percent of the federal poverty level, which in 2017 is about $16,000 for a single person and about $22,000 for a family of two. If implemented, about 70,000 additional state residents would be eligible for the Medicaid program, local media reported, in addition to the roughly 268,000 people who are currently eligible.